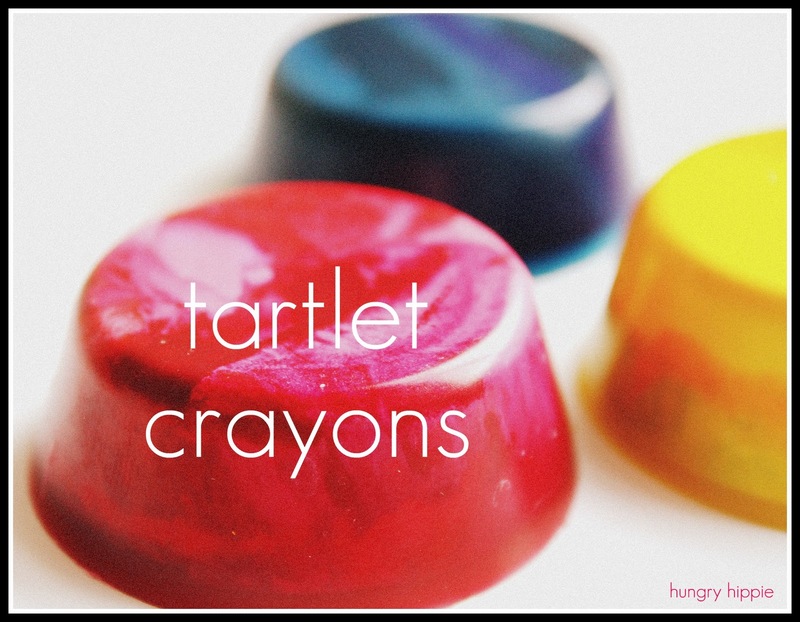 Make these fun tartlet crayons with used up old ones. 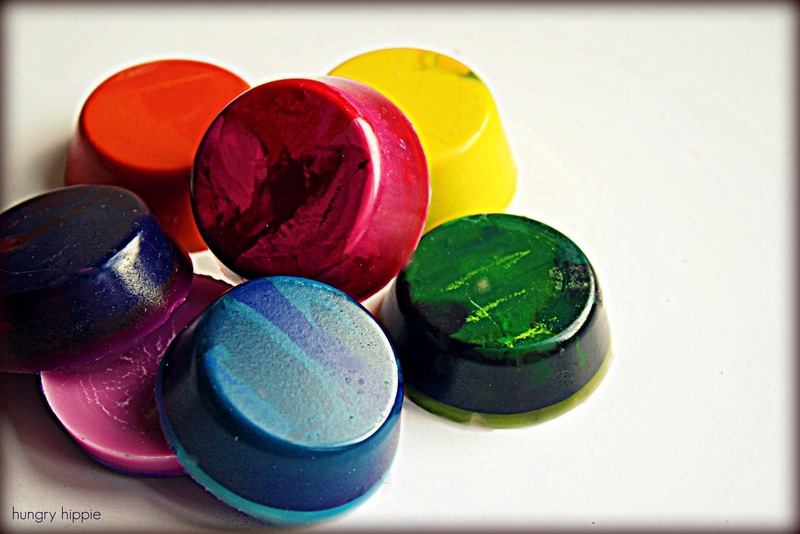 It's super easy-just peel your old crayons and break them up small enough to fill your tartlet or mini-cupcake pan. Bake at 350 F for about 8 minutes. Once they are frozen you can take them out and let them come back to room temp. Pop them out and color! My toddler helped me peel, break, and fill the pan up. Perfect to keep any kiddo busy. 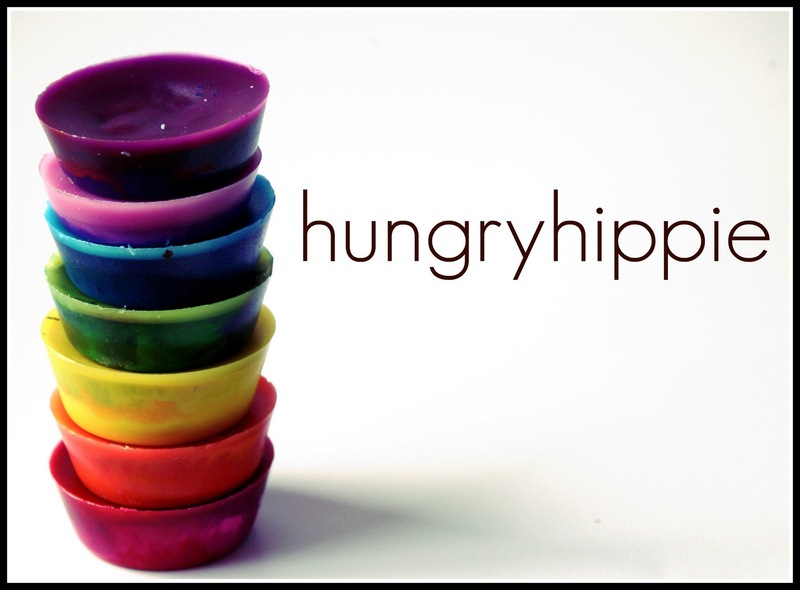 I love the color pop-this might be my new banner for Etsy, or maybe here on blogger. Love this idea. my kids wanted the crayon maker for christmas, they didn't get it. I think they will love this! I am your new follower and would love for you to stop-by and follow-back! WHA~ that is so legit! This ideas was so much fun. I did it with heart shaped pan that I found for cheap at Target and they are so neat. 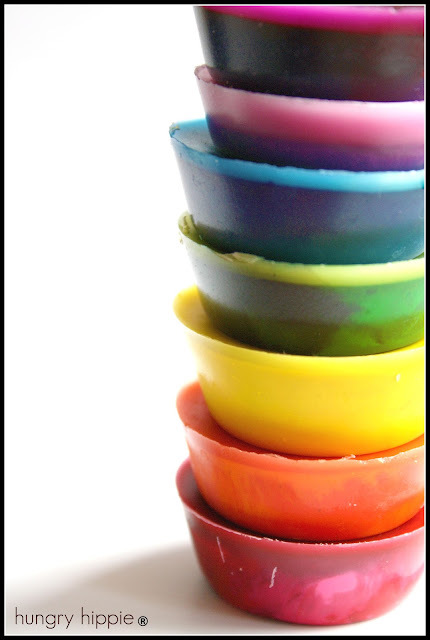 A little tip: If you are having trouble getting the paper off of the crayons, it works great if you let them soak in hot water for a minute or two. Also you can break them up easier with a knife or a hand chopper. PS: Where did you find your cupcake pan that you made the above with? Hey Ashley- thanks for the tip with warm water! I will try that next time. As for the pan, I just used Wilton's mini-cupcake pan. It worked great, and the leted wax came right off afterwards.